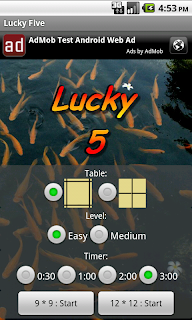 Lucky Five is a casual strategy game inspired by Tic Tac Toe / Connect Five / Five in a Row. 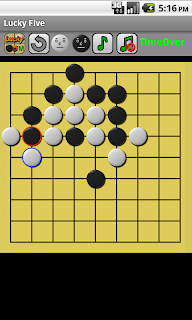 The objective of the game is to get five white stones in a row, while at the same time trying to prevent your computer opponent from getting five black stones in a row. 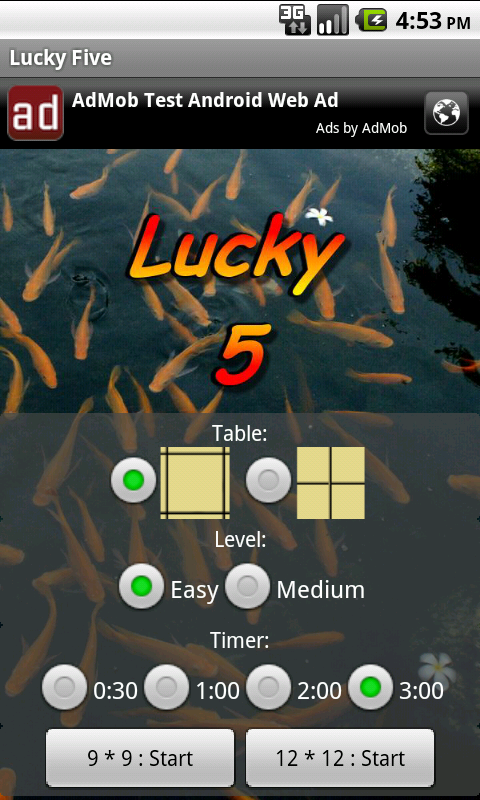 As your skill increases, you may choose larger table or a shorter game timer to increase the challenge. 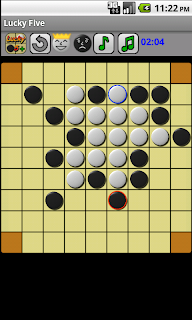 One or two player game. Choice of table sizes from 8x12, 9x12, or 12x12. 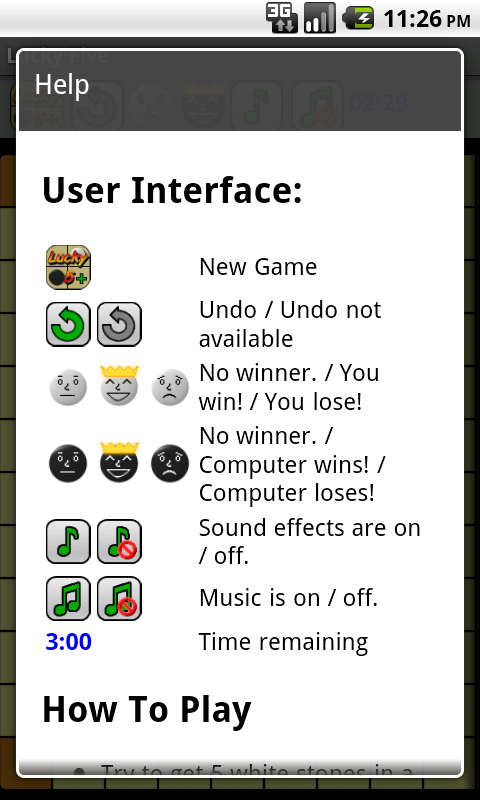 Choice of game duration from 30 seconds, to 3 minutes. On devices capable of SD app storage, the requirements shrink to 300 KB + 4.5 MB on SD. Plays best on devices with larger screens. 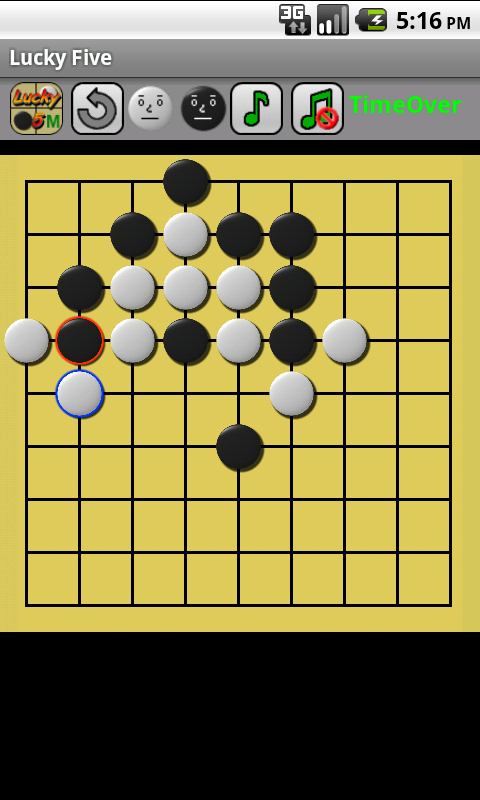 Some devices are limited to 8x12 screen. 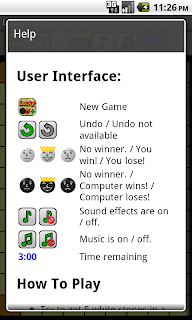 Free, but with advertisement support (Ads only appear on the game's start page). Requires Network communication (full internet access) for advertisements.